What is Neurotherapy / Neurofeedback? Neurofeedback is direct training of brain function, by which the brain learns to function more efficiently. Neurofeedback is also called EEG biofeedback, because it is based on electrical brain activity, the electroencephalogram, or EEG. Neurofeedback is training in self-regulation: it is simply biofeedback applied to the brain directly. Self-regulation is a necessary part of good brain function, allowing the brain to function more efficiently and effectively. EEG Neurofeedback aims to help individuals improve emotional, behavioural and cognitive functioning by training patients to increase certain brainwaves whilst inhibiting others, to promote optimal brain regulation. Compared to medication, neurofeedback has been shown to create long-term changes in the brain/behaviour when the treatment is stopped, as neurofeebdack is based upon changing the brain directly through neuroplasticity and learning. It aims to actually treat the core problem rather than simply masking symptoms. Whilst stimulant medications can be effective for up to 12 hours benefit, completing a program of neurofeedback is found to have long term benefits (with current research showing benefits present after 5-10 years post treatment). Neurofeedback is based on operant conditioning, a type of training that involves rewarding patients to inhibit certain brain wave frequencies and increase other frequencies. This is done by placing electrodes on the scalp and then providing instantaneous feedback about the brain’s activity. This awareness allows the opportunity to gradually recondition brain activity. Changes in brain patterns can be associated with certain positive changes in physical, emotional, and cognitive states. Often the individual is not consciously aware of the mechanisms by which such changes are accomplished, although people routinely acquire a “felt sense” of these positive changes and can then access these states outside the feedback session. For the first few sessions of training, individuals can often observe the effect of neurofeedback for up to 24-36 hours, and the benefits of neurofeedback will last longer following more training sessions. Standard neurofeedback training usually involves 30-40 sessions. Consistency is very important for the training in order to yield enduring benefits. There are several dominant brainwaves that reflect different states of arousal. Modification is made to the selected brain waves based on the characteristics of arousal level reported. It usually takes up to 5 sessions to find the optimal training protocol for each individual. Individuals who are experiencing symptoms of over-arousal tend to have excess beta brain waves and decreased SMR brain waves. Treatment goal for over-arousal individuals is to reduce the level of beta waves, and increase SMR waves. A reduction in excess energy levels allow the mind and body to be more relaxed and calmer, yet alert at the same time. Individuals who are experiencing symptoms of under-arousal tend to have excess theta brain waves and decreased beta brain waves. The treatment goal for under-aroused individuals is to reduce the level of theta waves, the level of drowsiness, and increase beta waves. At the end of each training session, individual should feel more awake, focused and motivated. Neurofeedback training is a painless, non-invasive, non-pharmaceutical procedure, and patients often report it is a pleasurable and fun experience. Everyone’s sensitivity to treatment varies, not everyone will have the same reaction to the treatment. For the first few sessions it will be important to get feedback about the effects of the training. It is noted that not all patients are responders to neurofeedback, with research showing around 70-80% of people will be able to train. Whether or not a patient is going to respond can be noted within the first 5 sessions, and if no changes are noted, training will be discontinued and other options discussed. This is monitored in a similar way to medication, and after each session you will be monitored and protocol changed if no effects are noted. There is no evidence from the literature that the treatment is harmful or that it creates negative side effects. Sometimes in sensitive individuals the training can be too strong and the individual may become overly aroused (if under-aroused) or overly under-aroused (if over-aroused). Usually these symptoms wear off and the training can be adjusted, although it is possible to have the effects reversed in another training sessions if preferred. If you notice any unusual changes or negative effects after a training session, such as anxiety, agitation, difficulty falling asleep, fatigue, feeling spacey/ cognitively dull, please let your trainer know as soon as possible so that training protocol can be modified. After every session you will complete a brief questionnaire monitoring changes, so that we can adapt protocols to make them optimal for the areas that you would like addressed. For those interested in understanding better the research support for the use of neurofeedback, the International Society for Neurofeedback & Research (ISNR) produced a White Paper in 2013 outlining the evidence base (https://docs.wixstatic.com/ugd/cba323_03f948eed3f74812ab54b8427d673006.pdf). Whilst the paper is from 2013, and many new research papers have been published further supporting NF, it has a discussion about medication being the gold standard of treatment. The following are exerts from this paper and provide interesting data regarding current ADHD therapies, particularly medication, which should be considered when considering treatment options. When judging the efficacy of neurofeedback, it is important to be fully aware of the efficacy of the other alternatives, potential short-term side effects, unknown long-term side effects, and long-term outcomes. A recent meta-analysis found NFB to be more than twice as effective as the six other non-pharmacological ADHD treatments that were analysed. These issues were recently presented at the Australian ADHD Professionals Association. 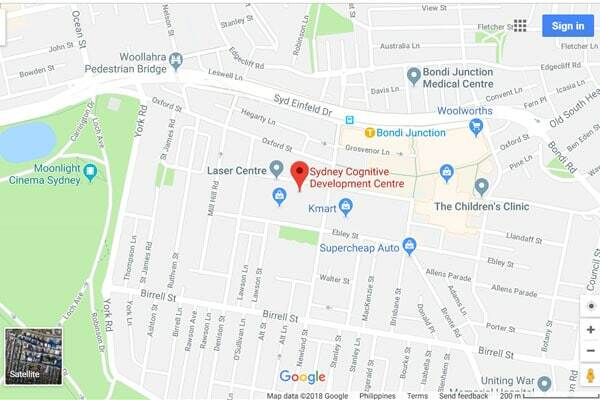 They are currently putting together guidelines for ADHD treatment in Australia as it is recognised that the current recommendations are very outdated and not in line with current research. The MTA and PATS studies were presented and in general it was discussed that medication guidelines are not adequate, with very poor follow-up of patients symptoms noted. Given the growing body of strong neurofeedback research, neurofeedback should not be dismissed as secondary to medication, particularly given the very disappointing results of the ‘gold standard’ study of ADHD treatment in regards to medication and behaviour therapy. It is our experience at the SCDC that parents often do not wish to use medication as a first line option, concerned about the lack of research in long-term side effects, preferring to try other options first. Neurofeedback now recognised as an effective treatment option for ADHD. In November 2012, the American Academy of Paediatrics supported EEG biofeedback (neurofeedback) as a Level 1 or “best support” treatment option for children suffering from ADHD.